British choreographer David Dawson will be one of the judges at this year’s Dance Open festival in St. Petersburg, where one of his works will also be performed. 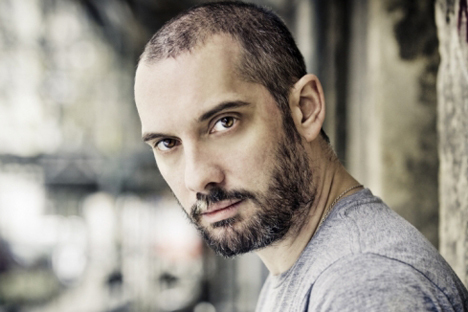 London-based David Dawson is one of the world’s most respected and sought-after classical ballet choreographers. This year, he is one of the judges at the 12th International Ballet Festival Dance Open, which is taking place in St. Petersburg on April 18­-22. Additionally, the Gala of International Ballet Stars that takes place as part of the festival will feature select performances from his "A Sweet Spell of Oblivion". Dawson spoke with spoke with Yelena Mochanova of RIA Novosti about the future of Russian ballet and the Mariinsky, where he staged his work "Reverence" in 2005. RIA Novosti: In Russia, ballet is one of our national treasures. But skeptics often talk about the decline of the Russian school of ballet. As an impartial observer, could you give an objective assessment of the situation? David Dawson: I think that the situation in world ballet is very good. There are lots of productions, and young artists are being given the opportunity to work with the classics. Many new productions are also cropping up in Russia – at the Bolshoi Theater, and the Stanislavsky and Nemirovich-Danchenko Theater. So things are looking really bright, just like they are everywhere. RIA Novosti: That being said, many people still think that Russian ballet has stagnated somewhat. D.D. : No, I think that everything is evolving. You can see the evolution of the artistic form in every country, so I don't think there's any cause for concern. Classical ballet is absolutely essential ­ just like Shakespeare's plays are. You can't just decide to throw it out the window for the sake of art, especially in Russia, where ballet has a privileged position in the country's history and is an integral part of your culture. Over the past few years, Russian theaters have started to take a more liberal stance on contemporary choreography, and it's amazing to see how these works are being performed in the Russian style, which also isn't standing still. Just look at the Bolshoi's performances of Balanchine's works, and the Mariinsky's renditions of [American choreographer William] Forsythe. RIA Novosti: But do you see the next Baryshnikov among today's young Russian dancers? D.D. : Olga Smirnova is an extremely talented dancer. I'm certain she'll have an extraordinary career. She really is special. There are a great number of talented dancers in Russia in general. I'm impressed by Diana Vishneva, Leonid Sarafanov, Olesya Novikova, Svetlana Zakharova, Natalya Osipova and Ivan Vasilyev. I adore many of the great ballet dancers and choreographers of the past, people like Natalya Makarova. RIA Novosti: You're going to be on the panel of judges at the Dance Open Festival. Do you have any favorites? D.D. : I have to admit that I don't have any favorites here. I love every last one of them. You've got to understand that choreography is an unbelievably difficult area of expertise, one that requires incredible levels of commitment and enormous self-belief. You have to be your own worst critic and be able to get up and perform in front of an audience, all the while conveying a complex range of emotions. That's why I believe that everyone is wonderful here. Dance Open is a unique platform for the stars of world ballet. The Gala Concert gives you an insight into the advancements made in ballet in different countries. Ballet is constantly changing, and every year we see new performers who take everyone's breath away with their perfect mastery of the art ­ and at such a young age. And you know what? It inspires me. That's why everyone's already a winner in my book. RIA Novosti: Have you heard about the Mariinsky's new stage? D.D. : To be completely honest, I haven't heard about the Mariinksy's new building, much less seen it. I'll go take a look when I get to St. Petersburg. The Mariinksy was in need of a facelift in general; it's dance studios needed to be reconstructed. The whole building needed to be overhauled, so it wouldn't fall to the ground. It's vitally important that we preserve the theatre for future generations. RIA Novosti: Would you like to work in Russia again and collaborate with the Mariinsky Theatre? D.D. : Yeah, I'd love to. Russian ballet dancers are full of passion and enthusiasm. It's a joy to work with them. Magic happens when they are on stage.